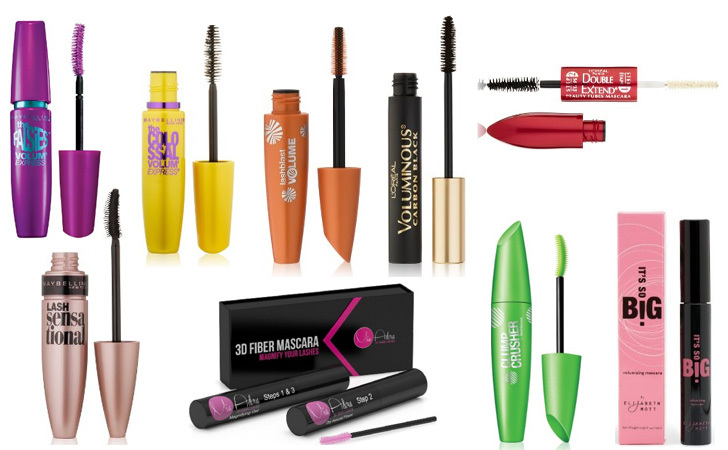 Mascara is a necessary staple in any woman’s basic makeup collection. It provides a flawless finish to any eye makeup look by lengthening, thickening, and darkening your natural eyelashes without the need for falsies. However, not all mascaras are created equal and many mascara formulas provide flaky, uneven coverage to your lashes and cause nasty fallout on your face. 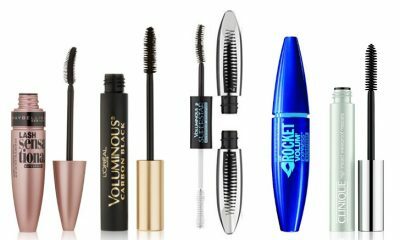 To get your hands on a top-quality mascara, keep reading the following Mascara reviews to learn more about the top rated best mascaras currently on the makeup market. One of the biggest problems with mascara is that many mascara formulas do note evenly distribute product onto you lashes. This uneven distribution can lead to a messy appearance and can prevent your outer lashes from receiving lengthening and thickening coverage. Equipped with a special butterfly applicator wand, this mascara from L’Oreal Paris solves the challenge of uneven mascara distribution. Its butterfly brush effortlessly sweeps product out to sufficiently coat your outer corner lashes to provide you with the appearance of fanned-out, lifted and extended lashes. The mascara formula itself is incredibly volumizing, increasing the volume of your natural lashes by up to six times their normal thickness with just one coat. Plus, it is smudge and clump-proof for long-lasting, all-day wear. Collagen is an active ingredient that is often infused within anti-aging products to thicken aging skin in order to increase its elasticity and firmness. This volumizing mascara from Maybelline New York also includes collagen, which helps plump up your lashes and make them appear thicker and more voluminous. 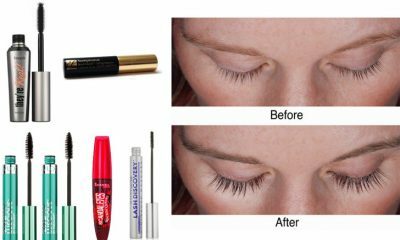 With only one coat, this mascara can increase the volume of your natural eyelashes by nine times. The smooth mascara’s mega brush design gently coats each of your lashes individually in order to create maximum volume with absolutely zero clumping. Many mascara formulas require several thick coats to achieve your desired thickness and length, which can cause clumping, smearing and fallout. There’s no need to coat your lashes with oodles of product when using this L’Oreal Paris mascara, however. With just one single application, this mascara smoothly coats your lashes to up to five times their natural thickness to create even fullness. If you have sensitive eyes that are easily irritated by mascara, don’t worry. Ophthalmologist and allergy-tested as well as fragrance-free, this mascara won’t irritate your eyes even if you wear contact lenses. Waterproof mascara is great on days when you’re heading to the beach or pool, but it can also be a huge pain to remove once you’re done wearing it. 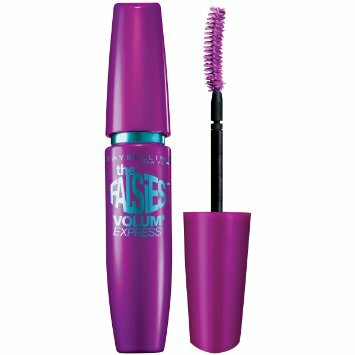 Washable mascara like this one from Maybelline New York is a great alternative when you’re looking for full coverage mascara that won’t force you to rip out your eyelashes when you try to remove it. Equipped with a special spoon shaped brush and flexible wand, this mascara easily coats all of your lashes from one corner to the other without any gaps or unevenness in your application. 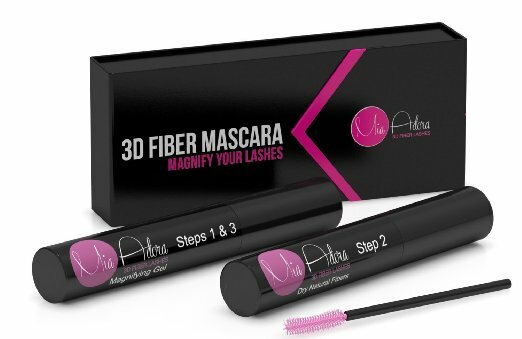 Designed to make your natural eyelashes look like falsies, the mascara provides you with lashes that look three hundred percent thicker and longer instantly. 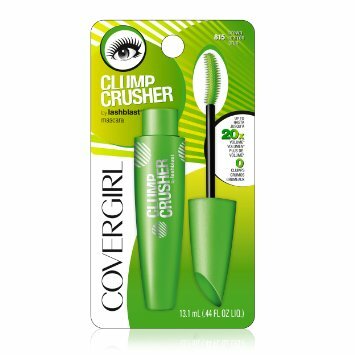 With a fine-bristled brush that combs through your lashes individually as it coats them in product, this mascara from COVERGIRL provides you with smooth coverage that is completely clump-free. The included applicator brush has two sides, one that is crafted to offer volume to your lashes and another that seals the mascara into your lashes for an intensified, bombshell finish. Because of this special volumizing and intensifying duo, you only need to apply one coat to achieve full coverage lashes with maximum thickness and long-wear staying power. You won’t know what your natural eyelashes are capable of until you try this mascara formula from Maybelline New York. Equipped with an included applicator fanning brush that has ten (yes, ten) separate layers of bristles, the mascara unfolds layers and layers of thick, volumized lashes that you never knew you even had. The formula of the mascara itself is designed like liquid ink. It is a thin formula that provides you with dark, full coverage without clumping or globbing on your lashes during application or flaking off under your eyes throughout the day. Applying multiple, thick coats of mascara can make your lashes look clumpy and gloppy, but more than one coat is often needed to achieve the thickness and length you want. 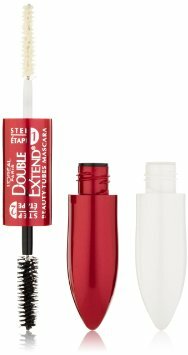 With this dual-ended mascara from L’Oreal Paris that included a lash extending base coat as well as a dark colored top coat, you can apply multiple layers of the base coat to thicken and extend your lashes as much as you want without risking clumps or flakes. Then, just smooth on one coat of the richly pigmented top coat to finish off your look. Infused with Ceramide R and D-Panthenol, the mascara base coat is ultra moisturizing and protects, strengthens, and conditions your lashes after application. The mascara formula itself is formulated specifically to nourish your lashes and prevent irritation even for those with the most sensitive eyes. This special fiber mascara is unlike anything you’ve ever seen before. With an included tube of magnifying mascara gel and dry micro fibers, you can extend and thicken your eyelashes to new volumized heights without false lashes for a more natural look. Simply swipe the fibers onto your lashes to add volume and length. Then, seal in the product with the magnifying mascara gel to finish off your look. The fibers and mascara gel are both completely clump and flake-proof; they include nourishing ingredients to strengthen and condition your lashes and last all day long without running down your face. One of the biggest challenges avid beauty lovers face when applying mascara is ensuring that they don’t end up with clumped lashes that stick together in one big unattractive glob. Clumps can be history with this special mascara from Covergirl that is formulated specifically to separate your lashes individually to prevent any clumps from forming. Featuring an innovative curved brush design with a fine-toothed comb, this mascara effortlessly coats and combs your lashes to evenly coat and saturate each individual lash with mascara for an even application. Sick of painful lash curling that rips out your eyelashes and irritates your sensitive eyes? Don’t worry about the time-consuming hassle of curling your lashes with this special curling and lengthening mascara by Elizabeth Mott. Designed with a special hourglass brush shape that smoothly and evenly distributes product over your lashes, this mascara naturally lifts and extends your eyelashes to create a long, curled effect that doesn’t smudge all day long.